That going green boosts the real economy. It was never going to take forever. Common sense was always going to surface. Eventually. Yesterday, on International Olympic Day, Olympian Sarah Winckless ‘nailed’ a simple but absolutely vital overlooked message – in front of a VIP House (of Lords) – packed full to overflowing – with winnng environmental leaders – and would-be environmental leaders. Perhaps June 23 2014 marks the day that we all start to (green) win – together. Olympic values are respect, excellence and friendship. Never before has so much (everything) hinged on whether we can learn to get along, work together, paddle in time, and work as a unit, as one big green team. Sarah, the Chef de Mission for GB Youth Olympics, and Olympic rower, effectively reminded us:- we have to pull together! Then not only will we win for ourselves, but for all members of Team Spaceship Earth, including those yet to be born. To start a Movement https://www.youtube.com/watch?v=V74AxCqOTvg – and I, for one, agree with Derek. Let the race to be greenest begin. Never able to find a top Environmentalist when you need one? 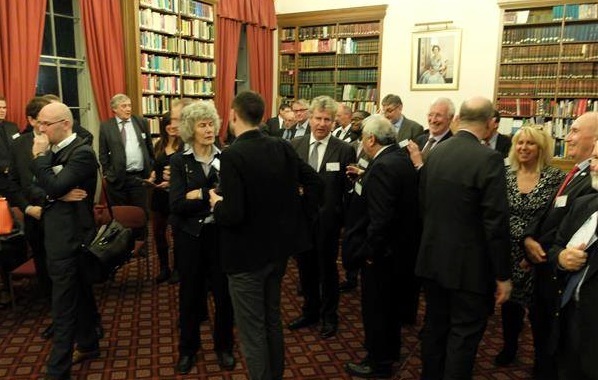 On 4th December 2013, in London, a hundred leading environmentalists converged to meet, in a Library, with two Bishops and a Dame. The occasion was the annual Christmas Reception of The Society for the Environment, the venue Carlton House Terrace, the rules Chatham House, and the Library packed. “Putting the ‘A-list’ into Environment-alist” – one guest quipped. Dame Fiona Reynolds was Guest of Honour and gave a rousing and inspiring speech. She welcomed the new dawn: that good ecology and good economy go hand in hand. 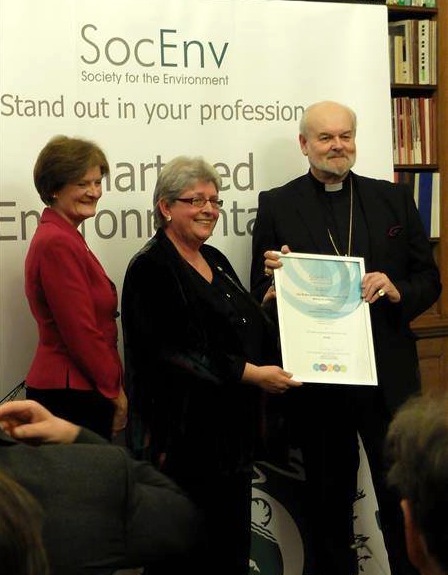 Seven remarkable individuals had been selected by the Society, for the award of Honorary Fellowship (HonFSE) for their leadership around the topic of environment. 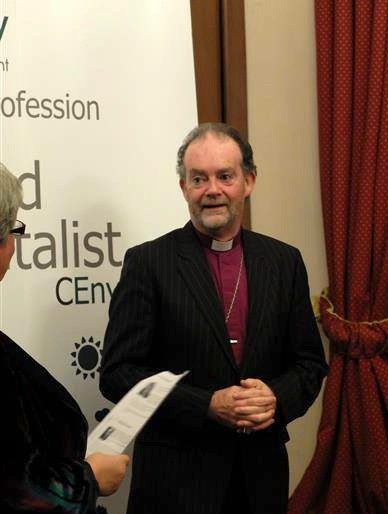 The Bishop of London and the former Bishop of Liverpool (Richard Chartres and James Jones resp.) were among those honoured by the Society. Both have shown great leadership in tackling our carbon footprints inspirationally, alongside their wider strong leadership. 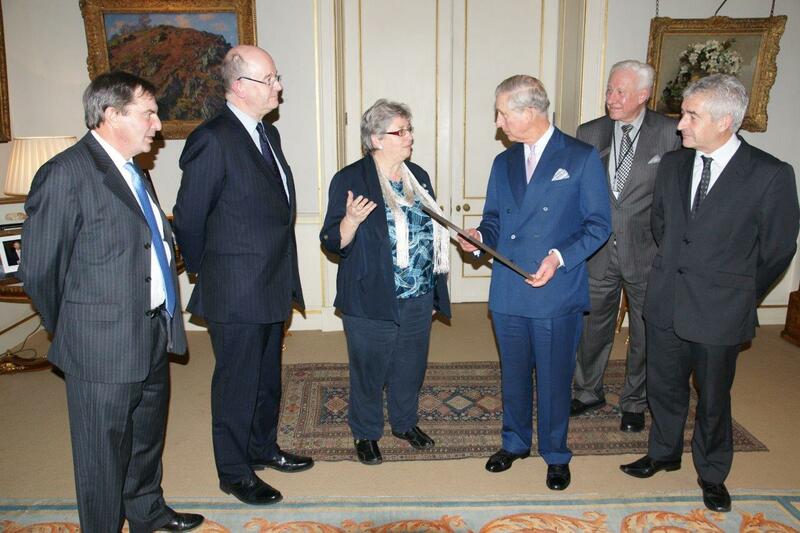 Also honoured were Dr Liz Goodwin, Professor Sir John Lawton CBE, Dr Alan Knight OBE, and Keith Clarke CBE. Dr Caroline Lucas, Britain’s first Green MP, was due to receive an HonFSE, but was instead occupied fighting for the environment on the green benches! Amongst the audience were many other eminent Hon. Fellows including Peter Ainsworth, Pamela Castle OBE, Sue Illman, Sir Crispin Tickell, and Sara Parkin.